Slicing through the heart of Saskatoon, the South Saskatchewan River – and the beautiful riverside trails that run along its cottonwood-coated banks – is the city’s lifeline. 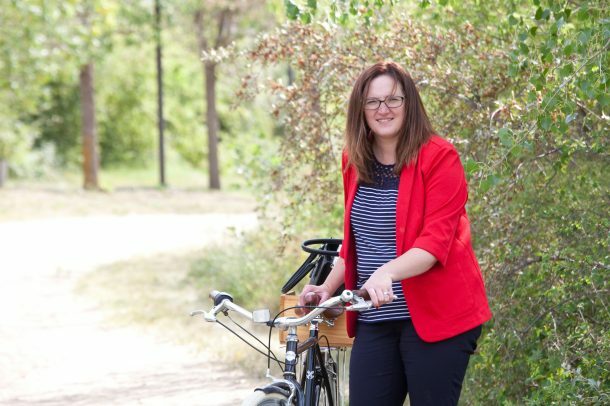 Ask any local: the best way to experience Saskatoon – including the downtown core, the many parks, and numerous attractions along the river – is via the super-scenic Meewasin Trail. The variety-filled trail, which traverses the river for 25 kilometres, has something for everyone: zoos, heritage sites, conservation areas, spray parks, bridges, weirs, shopping, riverside cafes, food trucks, art galleries, ice cream stands, farmer’s markets, and the list goes on and on! 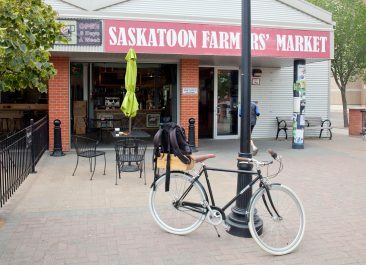 Start your day the right way with a great cup of coffee at the Saskatoon Farmer’s Market. This is a great place to begin your journey. The market is located downtown (just a block from the trail) near the corner of Idylwyld Drive and 9th Street. And whatever your go-to morning beverage happens to be – an Americano, Espresso, Latte or something else – Maduro, a small craft roaster, never disappoints. For more information on the market vendors and to check hours visit the Saskatoon Farmer’s Market website. While walking the Meewasin Trail is definitely a popular way to go, pedalling the trail is highly recommended. You can rent bikes at a few locations, including Escape Sports and Bike Universe, both located near the market. The market is also just a block away from River Landing, where you can park your car in the new underground parkade. After coffee, head north on the Trail and you will cruise through the tidy trails and gardens along River Landing. This is a beautiful new development, which is home to theaters, art galleries, restaurants, shops, and a brand new condo complex. Spend some time exploring this cool, contemporary area or you can also save it for when you return. 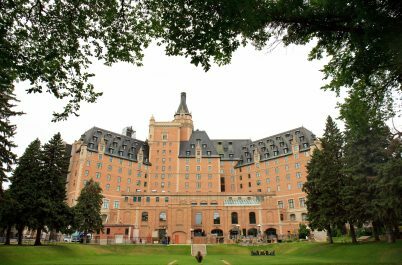 Keep traveling north and you will enter the pristine downtown section of the Trail, which meanders beside the historic Delta Bessborough Hotel (a historic landmark of the city) and provides easy access to the downtown core. If you steer your way to the front of the hotel, on the opposite side of the street, you’ll find Bus Stop Refreshments, a classic Saskatoon eatery that operates out of a double-decker red bus (think London). Chow down on a hot dog or a delicious milkshake! If you’ve followed this itinerary fairly closely you’ve no doubt eaten up a bit of time and haven’t traveled very far. So now it’s time to put on a few miles! Keep heading north up the Trail and enjoy the peaceful ambiance of the river. Stop to view the giant American White Pelicans that will be hanging out at the weir, waiting for lunch to swim over the wall of water. Keep pedaling past Kinsman Park and head to the Capilano Lookout for a beautiful view of the Meewasin Valley. But don’t stop long! You’ve got another hour of smooth cycling to reach the Wanuskewin Heritage Park, one of the top attractions in the region. On your return trip, a well-deserved dinner-on-the-patio at Drift (located just across the street from the Farmer’s Market) is a great way to cap off your adventure. Before dinner, sip a pint of local craft beer (anything from Nokomis Craft Ales will hit the spot) and rehash your incredible day on the Meewasin Trail – truly one of the gems on The Great Trail of Canada. Fly to John G. Diefenbaker International Airport, which is located just 10 minutes from downtown Saskatoon. The city can also be accessed by rail, bus and via major highways.